Walking under a ladder: 7% bad luck. Walking under a bird on a ladder: 16% bad luck. Walking under a human on a ladder: 29% bad luck. 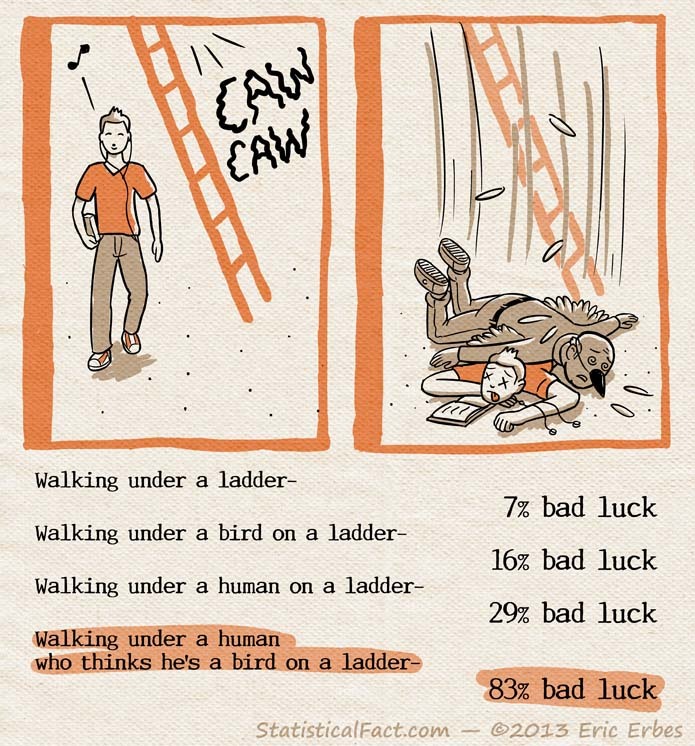 Walking under a human who thinks he’s a bird on a ladder: 83% bad luck.